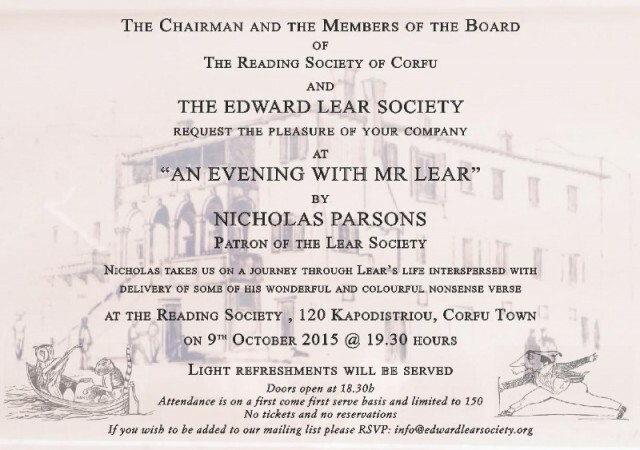 Come and celebrate Mr. Lear at the Reading Society of Corfu on 9th October 2015. Nicholas Parsons will take us on a journey through Lear’s life interspersed with some of his wonderful nonsense. Previous post ← Lear Collectors: Who are they?